Great Gatsby Fashion Looks for Less! When you take a trip to the movies, you let yourself escape from reality for those 120 minutes. Whether you take a trip to some futuristic world, just across the sea to the streets of London, or back in time, the cinema transports us to places by their use of costumes and characters. One movie I am particularly excited for this summer will take viewers to an era you jewelry gals should be very fond of—yes, I’m talking about the rip roaring era of the 1920s, the setting of The Great Gatsby! Starring Carey Mulligan, Leonardo DiCaprio, Isla Fisher, Tobey Maguire and plenty of other A-list names, this all star cast is sure to bring the American classic novel to life in a masterpiece movie! Fashion legend Ralph Lauren designed the costumes for the original film and has recently presented his Spring 2012 collection inspired by the same theme, making 1920’s fashion hotter than ever! I stumbled upon an article on Refinery 29 the other day about how to add some 20s whimsy to your wardrobe. While I love all of their ideas and think this is a wonderful trend of the moment, I would rather not spend hundreds of dollars on vintage statement pieces that might not last to the next season. Instead, I have found some 1928 pieces and other ideas of how to add that 20’s flair without spending like there is no tomorrow! 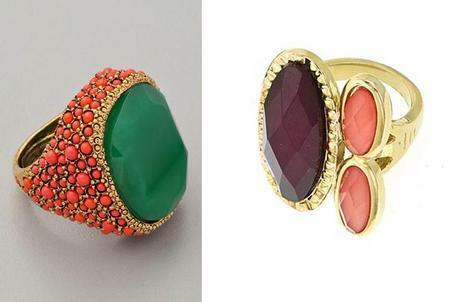 Left- Kenneth Jay Lane ring for $168, Right- 1928′s Laundry by Shelli Segal Chic Color Block Ring for $42. Top Left- Deepa Gurnani headband for $85, Top Right- 1928′s Pearly Champagne Cabochon Metal Hair Barrette for $18. 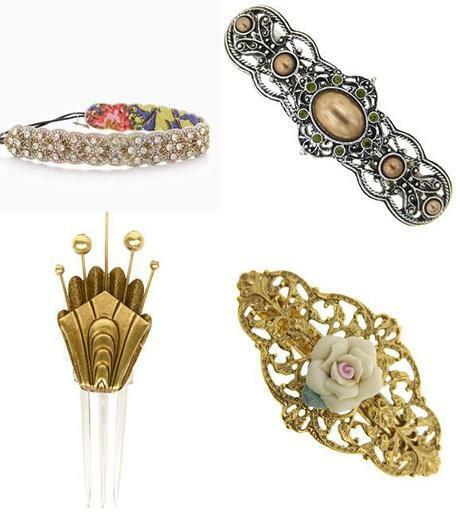 Bottom Left- Rodarte hair pin for $415, Bottom Right- 1928′s Petite White Porcelain Rose Hair Barrette for $16. Left- Tarina Tarantino earrings for $95. 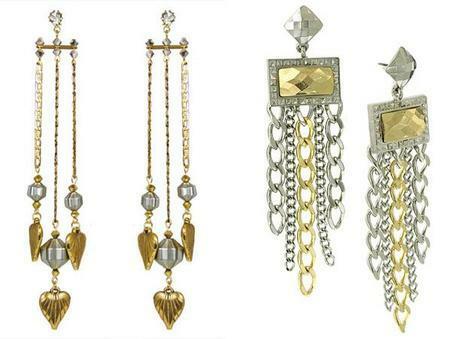 Right- 1928′s Laundry by Shelli Segal Glam Chained Chandelier Earrings for $58. Now you see why we are known for our vintage style and fab prices!? Our company was named after the last golden year of prosperity before the great depression and we are here today with styles that can challenge that era of decadence, all for a great price. 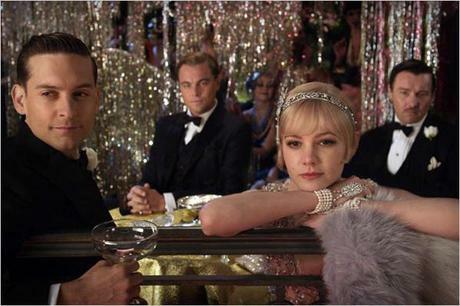 Let the Great Gatsby influence your fashion this season and check out the film once it hits theaters later this year.